Our air-conditioned luxury suites are stylishly decorated, each with private patio and direct access to the beautiful rose garden and pool. All suites include a flat screen TV, wireless internet access, mini bar, safe, hairdryer, bathrobes, port wine, fresh flowers and fruit. 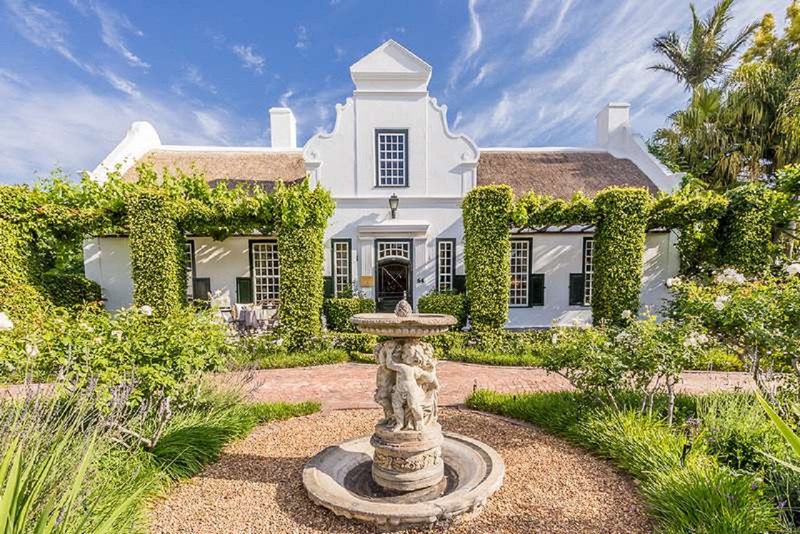 Stellenbosch accommodation – Van der Stel Manor offers luxurious double rooms with all modern necessities. The suites are located on ground level with private entrances opening onto patios leading into the lush green garden. Luxury is in the finer details and our Presidential suite is the epitome of exclusivity. The opulently decorated suite features a King size bed, en-suite bathroom, a desk, a spacious walk in closet, extra-large lounge, and private patio leading to a sculpted secret garden. Guests will also receive a complimentary bottle of bubbly upon arrival. The suite is also available with twin beds on request. Our Honeymoon Suites are designed for Luxury, Comfort and Privacy. The opulently decorated suite features a King size bed, en-suite bathroom, a desk, a spacious walk in closet, extra-large lounge, and private patio leading to a sculpted secret garden. Guests will also receive a complimentary bottle of bubbly upon arrival. The suite is also available with twin beds on request. With the university at its heart, Stellenbosch has a vibrant coffee shop society and is peopled with well-known poets, writers and artists. The town is a shopper’s dream, with everything from stylish African artefacts, home ware, and local arts and crafts, to fresh produce and trinkets by the score. And, of course, it’s also famous for its wines.